"...could take a bit of stopping if he can transfer that level of form to turf..."
Archie Watson had a filly score on debut at Lingfield last week and Exclusively gets the nod to do likewise, with confidence increased should the market speak in her favour. Bare All, Great Dame and Azteca are other likely sorts on paper in a contest where the betting could prove informative. Private Secretary showed plenty of promise when runner-up on both starts last year and is expected to take plenty of stopping on his return to action. Sinjaari appeals as a likely improver having joined William Haggas and could be the one to give him most so ahead of James Fanshawe's Entrusting. Windsor Cross set himself up nicely for this with a good run on his AW reappearance last month and is taken to resume winning ways back at 1m. Sheberghan was a bit disappointing last time but it's still early days for him with Archie Watson and he could easily get back on track now. 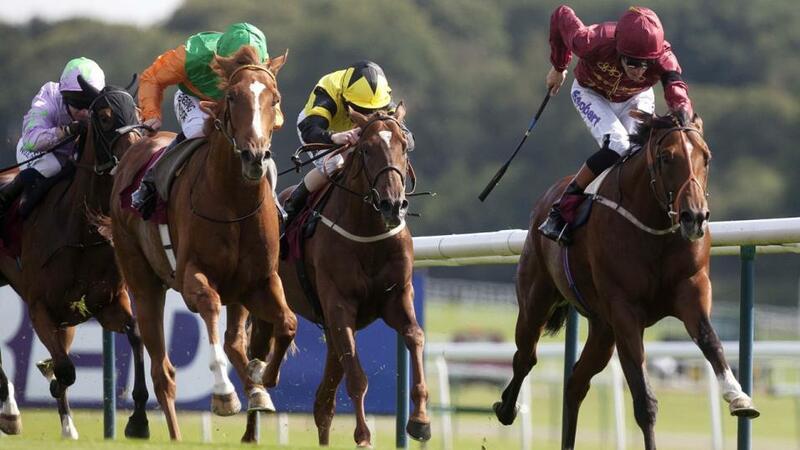 The selection's stablemate International Man returns on a workable mark and also makes the shortlist. John Gosden's easy Newcastle winner Forest of Dean looks sure to improve further now handicapping, and gets the nod in an interesting race. Harvey Dent is going the right away and is also much respected along with wide-margin Beverley scorer Sameem. Tucson progressed with each of his 3 starts last year and, with further improvement on the cards now handicapping, he could be the answer. On The Line needs considering on the back of his decisive AW success but bigger threats may be posed by Reloaded and Absolutio, both of whom feature on fair-looking marks. The form of Duke of Alba's latest Wolverhampton second has been boosted a couple of times since and he could take a bit of stopping if he can transfer that level of form to turf. Channel Packet and Zorawar both arrive in good form from AW and head the dangers. It's hard to be confident about Maghfoor given his patchy profile and modest strike rate (1-17), but he resumes on a potentially handy mark and is worth chancing in an open-looking contest. Restive won over C&D in 2017, and while this trip is probably plenty sharp enough for him nowadays (largely campaigned over 1½m+ since that victory), he has to be feared. Dutch Coed is another to consider. Bobby Shaft made a bright start at Wolverhampton last month and could boost that form further (a winner has already come out of the race) with victory. Paradise Papers is feared most, while International Guy, a stablemate of the selection, is an interesting newcomer.